“I understood that we did not have a full slate of candidates and that the odds were against us. But there are certain principles that I wanted to stand up for and there were people who wanted me to run because of the fact that I represented some of the things that they cared about that were not being addressed,” he said, speaking with this news site last evening June 16, 2015. 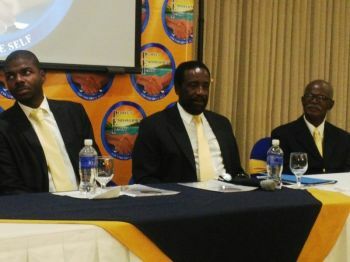 According to Wheatley, people wanted the PEP to come with a stronger slate of candidates as there were quite a few people who were not satisfied with either party (the National Democratic Party and the Virgin Islands Party) and they wanted an alternative. The PEP President also said he believes the elections date should be a fixed one so that it cannot be used as a weapon or a strategic “chess piece”. He added that his party wants the electorate to have the opportunity to register, hear all of the issues and to be able to make an informed choice. “We need more transparency in campaign financing and campaign spending and it would be good if that information could be made available to the public,” he said. He added that in some countries they are making changes to ensure that political parties who may not have a large donor base may still have a voice with the levelling of the playing field. “Sometimes just because you have more money doesn’t mean you have the best interest of the territory at heart. Sometimes you can represent the small interest – the interest of the wealthy – and a lot of small people are left out,” he said. Wheatley believes it is the people and not the political parties that suffered the most from the brevity of the election announcement. 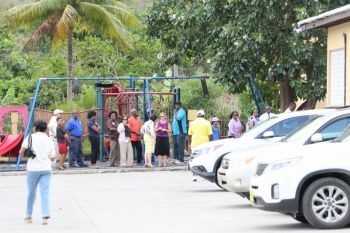 He noted that it was the Tuesday following the announcement of the election date at an NDP rally on May 6, 2015 that persons had to go into the elections office to register. 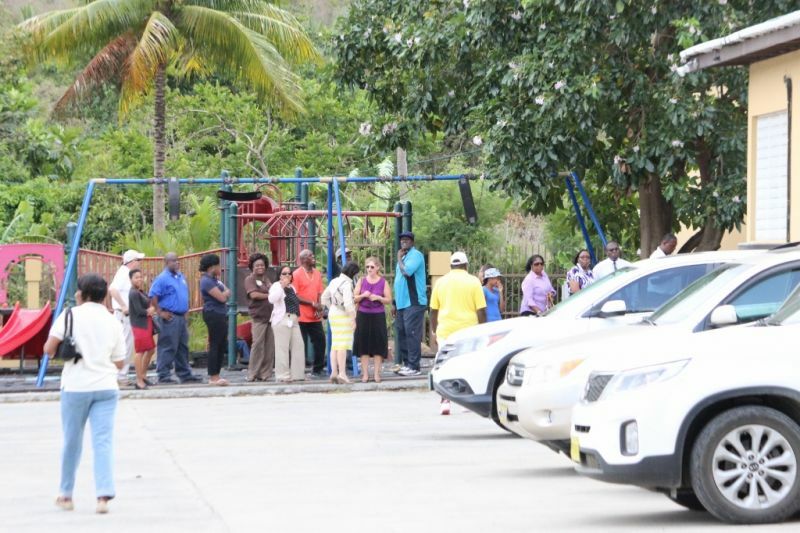 He noted that, according to the Supervisor of Elections Mrs Juliette Penn, some persons were disenfranchised and added that voters complained of being registered in a different district than the one they were from. “The rush to register people could have resulted in some mistakes and it did result in persons not getting registered or not being able to change the district they were registered in. So I have more sympathy for the voters than I am concerned for the parties themselves,” he said. 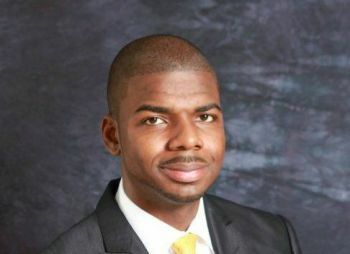 Sowande expressed disappointment in the fact that, unlike 2011, there were no public debates and this meant that statements made on the political platform went unchallenged. He said the party was ready and willing to debate its counterparts with a view to addressing the concerns voters might have had on issues and how parties proposed to address them. keep sticking to the issues and voice your principles. It will help educate the public at what to ask of the reigning government. Hold their feet to the fire. thank you for running. What can we the voters do to help you fit? think outside the box and understand the issues. Can we get a petition started? I read the article about the man on the talk show that spoke out about the bribery matter. We really want your voices heard about this issue. Alvin thanked and express his gratitude to the second district at every rally held in the district. Also did it via his radio and online ad campaigns. Its like you want the man go to every house and personally thank every man, woman and child within it. He had a death in the family! If people like you stopped looking out for good governance in this land the nation will be lost to greed and corruption. Democracy would be a thing of the past and the devil would win the battle against good and evil. God will help you guys cause you all are on his team, keep fighting and let us know what we can do to help in this battle. Too late shall be your cry..why ayo did not stick with vip? As long as they did not sick with NDP I am ok with that! Donot be afraid god is on his throne NDp did all in theri power to win the election but god is not sleeping only time will tell this is the time for you to regroup and get things going also the vip team give the Ndp the first 100 years and you will see it has already begin the biras crek and oil nut man people are do foolish this was in the making it was to happen before election but pick advise them after election boy this place gone to the dogs but NDp better shine because Education mininis will soon tear up Narutal resources man stated tuned as for lvin do not give up the faith things will come around again please Lord you will twke of NDp sooner rather than later They want to bring down fraser by saying and doing all kind of things but he will rise again FRASER WILL BE THE PERSON GOD IS GOING TO CALL TH SAVE THIS GREAT LITTLE NATION AND ALVIN AND ANDREW WILL BE RIGHT BEHIND HIM TO HELP THE WICKED CAN ONLY RULE FOR A TIME SO FRASER< ALVIN AND ANDREW HOLD OUT. you must be smoking a joint.....lolol lmaoooo in your darn dreams. Everyone knows this was a bought election democracy was greatly compromised and greed ruled, you all are our true leaders, and many of us have concluded that we want no other to represent us and your values. We will stand on GOD's side this election year! Are you serious? Bought our from bribery? I have yet to receive my check...Do you really think based on the landslided victory that NDP bribed voters? you guys really need to learn how to take a loss and get moving on with your life. The voters have clearly spoken. Yall does really come online and talk pure rubbish and its embarrassing to the country. Greed is not always determined by a check. It hides in the heart and feeds on the soul. That is why God measures people from the heart. You all do not need to purchase power and authority..God will give it you freely. If you stay in his ways. Watch Him work for you now! LOOK.....I'm sick and tired of hearing the cries about elections.....ITS OVER.....NDP WON.....GROW UP AND GET OVER IT!!!!! JEEZE! NDP bribed their way to leadership, God is not done with them yet...nor are the honest God fearing voters in this country.